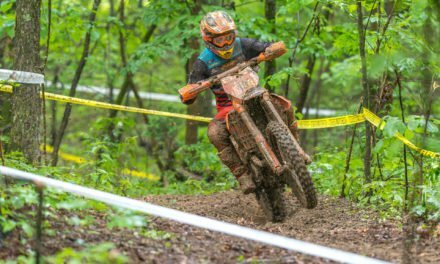 Hickory, NC (January 23, 2019) – The KENDA Full Gas Sprint Enduro Series and FXR are excited to announce FXR as the exclusive racing gear sponsor of the 2019 racing season. FXR’s roots are in snowmobile racing but in the last few years the innovative gear company has made a massive push into motocross, supercross, and off-road racing in North America and will be supporting many pro and amateur racers alike who will be competing in the Full Gas Sprint Enduro Series. “I’ve watched as FXR has made its presence known in the off-road world and kept an eye on their awesome looking product as more and more racers began wearing it at our events. When the opportunity arose for us to make a new relationship for our official gear sponsor FXR was the first company that I reached out to. Their gear is of amazing quality in both materials and design and Andy and his crew understand how important it is to support both racers and series at a grass roots level, all things that we’re obviously huge fans of,” said series founder, Jason Hooper. “I am really excited to have this opportunity to support such a great program as the Full Gas Sprint Enduro Series. FXR builds great product and partnering with the series only seems like a natural fit for us. We look forward to seeing growth in the sprint enduro scene here in North America and we’re happy to be along for the ride,” added FXR’s Brand Manager, Andy White. The 2019 KENDA Full Gas Sprint Enduro Season kicks off February 9thand 10th, at GTR Complex in Gaston, SC where FXR will be the presenting sponsor of the event. Racers and fans are both encouraged to stop by the FXR display which will be located next to rider registration to check out the 2019 FXR lineup. For more information on FXR visit them online at fxrracing.com. To view the complete FGSE series schedule or to find out more about the series head to sprintenduro.com or follow the series on Instagram or Facebook.